Reynolda House Museum of American Art will present "Frederic Church: A Painter’s Pilgrimage" from Feb. 9 – May 13, 2018. 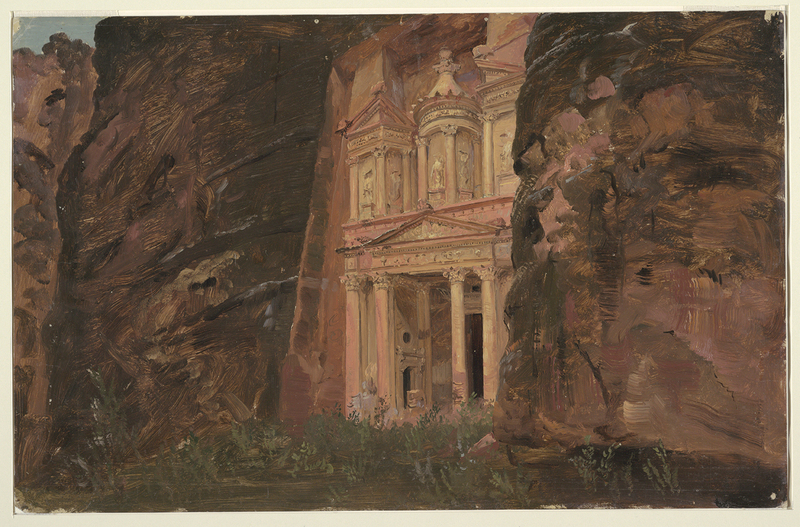 The exhibition is the first to explore the American artist’s paintings inspired by his travels to ancient sites in the Middle East and the Mediterranean. More than 50 paintings, oil studies, and drawings from the late 1860s through the early 1880s will be on view. The most popular artist in mid-19th-century America, Frederic Edwin Church (1826–1900) took landscape painting to new heights of grandeur and was best known for his large, visually stunning paintings of American scenes as well as views of South America, the North Atlantic, and the Caribbean. 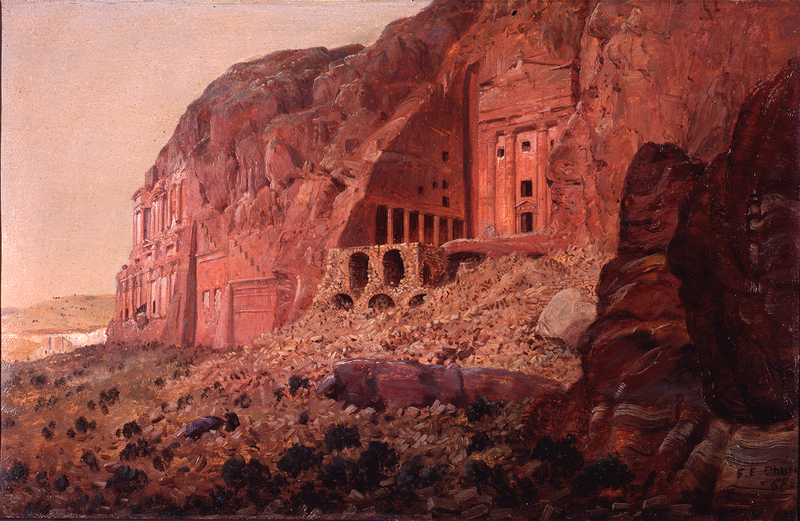 But from 1867 until the end of his life, many of Church’s most important paintings represented ancient cities or buildings that he saw during his 1867–69 trip to the Middle East, Rome, and Athens. While Church’s paintings of the New World focused on the natural world, his works from the Old World explored human history. The exhibition brings together nearly all of Church’s most important paintings of the Mediterranean region and Holy Land in order to explore this major shift in his artistic practice. Lenders to the exhibition include The Metropolitan Museum of Art and Cooper Hewitt, Smithsonian Design Museum, New York; Museum of Fine Arts Boston; Detroit Institute of Arts; The Nelson-Atkins Museum of Art, Kansas City, Missouri; Olana State Historic Site, Hudson, New York; and private collections. A catalogue accompanies the exhibition, with essays by Kenneth John Myers, curator of American art, Detroit Institute of Arts; Gerald Carr, independent scholar; Kevin J. Avery, senior research scholar, The Metropolitan Museum of Art, New York; and Mercedes Volait, director of the research center, InVisu at the Institute national d’histoire de l’art, Paris. The exhibition was organized by the Detroit Institute of Arts. Highlights of "Frederic Church: A Painter’s Pilgrimage" include three of the largest and most important paintings inspired by the trip. 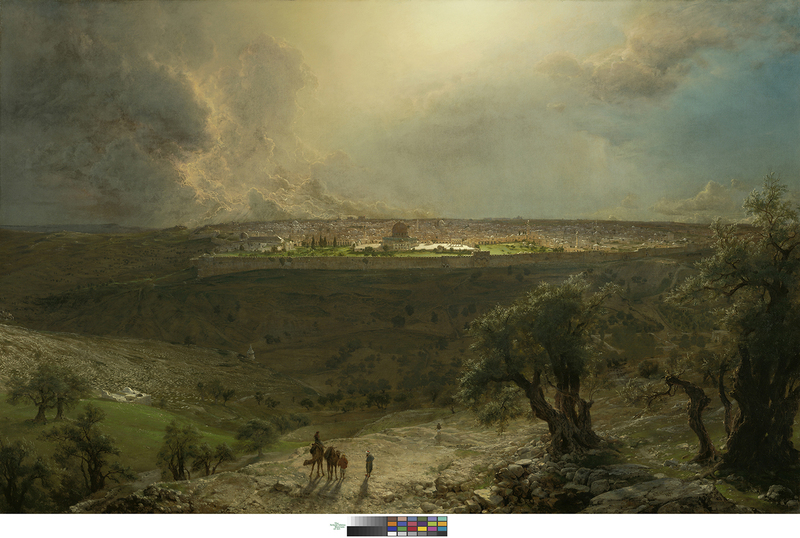 The one that Church did the most to publicize was Jerusalem from the Mount of Olives, 1870. When it was exhibited the following year, spectators flocked to see the painting, using opera glasses to examine the details. 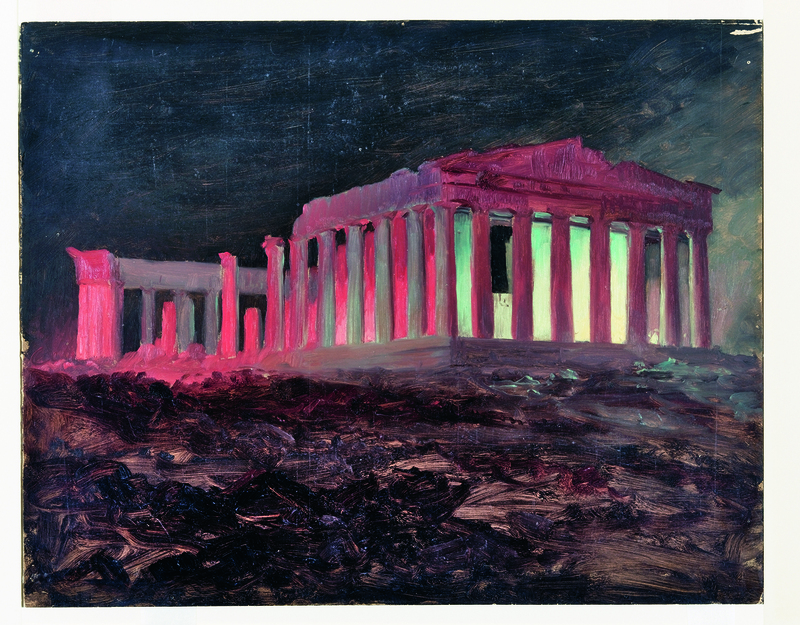 For his first canvas of a major building, Church chose the most archetypal structure of Western civilization: The Parthenon. Frederic Edwin Church, Syria by the Sea, 1873, oil on canvas. Detroit Institute of Arts. "Syria by the Sea," 1873, which combines a Corinthian column and spectacular ruins with a powerful shining sun. 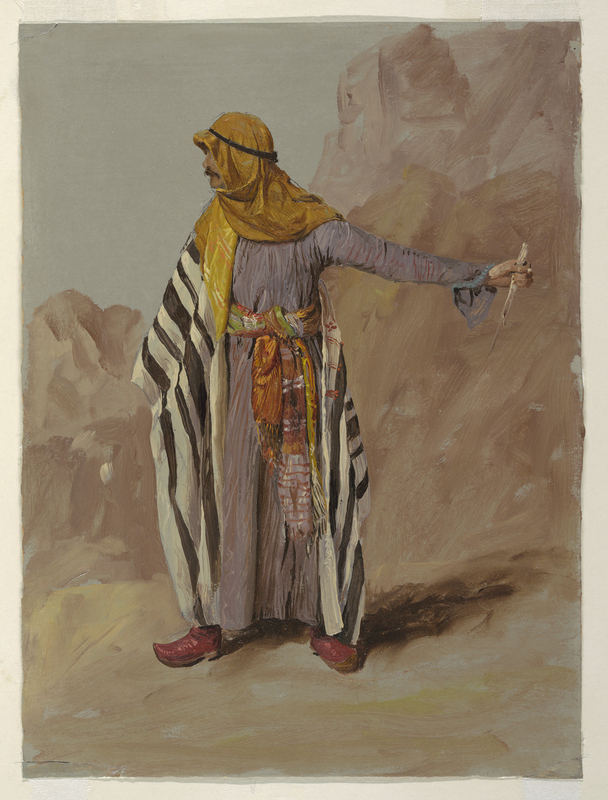 and "Springtime in the Levant," 1878, are being seen in a museum exhibition for the first time. 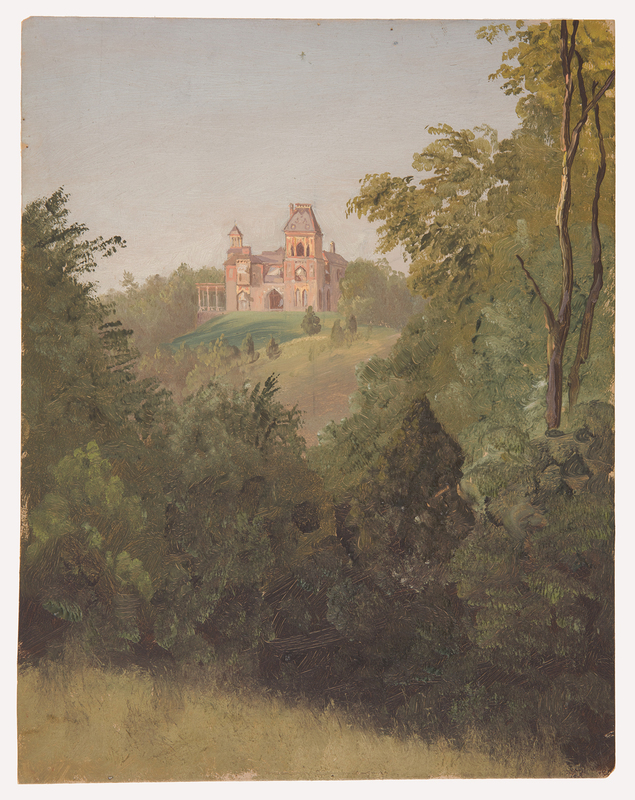 Following his journey to the Middle East and Europe, Church embarked on what became his last major artistic creation: the estate he named Olana, crowning a high hill overlooking the Hudson River one hundred miles north of New York City. Inspired by Near Eastern architecture and ornament, as well as by the artist’s own aesthetic and spiritual ideals, Olana absorbed his attention for well over three decades. Included in the exhibition are some of the architectural drawings that Church created while planning his Persian-style temple on a hill. "Frederic Church: A Painter’s Pilgrimage" unites a major Church painting in Reynolda House Museum of American Art’s collection, "The Andes of Ecuador," 1855, with later work by the artist in order to examine the way the focus of Church’s late work shifted from the natural world to human history. While "The Andes of Ecuador" represents the natural features of a South American landscape, including waterfalls, ravines, plateaus, and mountain peaks, the paintings in "Frederic Church: A Painter’s Pilgrimage" focus on ancient cities and buildings. 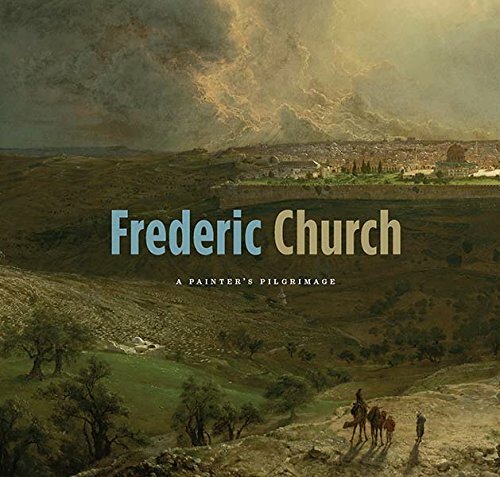 "Frederic Church: A Painter’s Pilgrimage" has been organized by the Detroit Institute of Arts. Generous support has been provided by the Terra Foundation for American Art and the Henry Luce Foundation. Additional support has been provided by the National Endowment for the Arts. A significant loan of objects has been provided by Cooper Hewitt, Smithsonian Design Museum.